When I first started reading about sharks, back in the 70s, people talked about 300 species. Then 350, then 400, and experts now make estimates of 440 all the way up to 470, with the usual allowances that some species may turn out to be variations of known species - and the reverse. Where do you find new sharks? Some are split out from studies of known species. Many turn up in fishermen's catches. Some are spotted at sea by scientists with fishing fleets or fishermen themselves. Sorting through the catch fishing boats haul to docks and markets, though, is probably the most effective technique. After all, that's how the most famous fish discovery in history, the coelacanth, turned up in 1938. This article from Smithsonian collects many other examples. Most stunning is that one David Ebert has named 42 species of sharks, rays, and chimeras. Others have found more new species, species in ranges we didn't know they inhabited, and species unseen for many years. No one had seen a smoothtooth blacktip shark for over a century before Rima Jabado of the United Arab Emirates found one in 2009. Smoothtooth blacktip shark. (Source and copyright unknown: educational fair use claimed). Humans, scientists and laypersons alike, are fascinated with sharks. Sometimes it's because sharks are beautiful and amazing: sometimes it's because people still believe all sharks are like the one in Jaws (despite the late Peter Benchley's spending the rest of his life on shark conservation). Shark fishing is often an unsustainable business, or an illegal one, but a shark that's on display in a market is gone, and there's no point in not gleaning knowledge from it. Shark biologists agree on one thing: we haven't found them all. 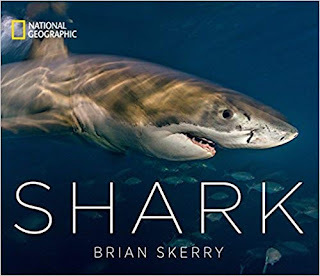 If you want to see the most amazing photographs of these creatures and meet them closeup, Shark by photographer Brian Kerry (National Geographic, 2017) is a stunning book. "Rediscovery and redescription of the smoothtooth blacktip shark, Carcharhinus leiodon (Carcharhinidae), from Kuwait, with notes on its possible conservation status"
Published: 24 June 2011 . Matt Bille, "The Still-Puzzling Coelacanth," Shadows of Existence, Hancock House, 2006. Can a Dunkleosteus be cuddly? Anniversary: the strangest of "sea serpents"
When is absence of evidence evidence of absence?